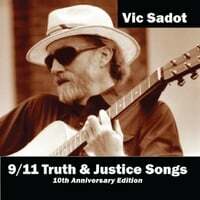 Thank you for producing politically aware music and especially on 911 truth! If you are ever in the UK get in touch. I am writing a book called the Bridge that hugged tomorrow. Would it be alright if I place the words of your song in it? Of course I will put your name in it! Which song is this referring to? do you also have blog at wordpress? hi Vic, just passing by and say hello. A bientôt. Thanks Guiohm! Check out the relatively new Berekely Calling Blog! Vic I just watched your Swans @ Smalley’s Pond & noticed the video was 2006.